Eight European crowdsourcing platforms, the German Crowdsourcing Association (Deutscher Crowdsourcing Verband), and the German Metalworkers’ Union (IG Metall) announced today the establishment of a joint Ombuds Office. The Ombuds Office will be tasked with resolving disputes between crowdworkers, clients, and crowdsourcing platforms and with overseeing enforcement of the “Crowdsourcing Code of Conduct” adopted by the platforms. The Code of Conduct is signed by the German crowdsourcing platforms Testbirds, clickworker, Streetspotr, Crowd Guru, AppJobber, content.de, and Shopscout and by the British platform Bugfinders. In total the eight platforms count approximately two million worker registrations between them. The Crowdsourcing Code of Conduct is to date the only agreement in which online labor platforms voluntarily agree to hold themselves to minimum standards with respect to working conditions and relations between workers, clients, and platforms. The goal of the Code of Conduct is to codify the existing standards in Germany with respect to fair dealings with crowdworkers and to ensure that these standards are maintained as the market for crowd work grows. 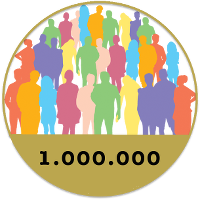 clickworker, one of the leading providers of crowdsourcing services, has registered one million Clickworkers on its platform since early September. The robust growth of the crowd over the past two years reflects the increased interest in flexible online jobs. When clickworker first executed its crowdsourcing projects in 2009, only 800 Clickworkers, located in Germany, were registered. Because of this, implementing international projects was nearly impossible. Today, with more than one million Clickworkers all over the world, the company has an enormous pool of expertise and working power at its disposal. This way, Clickworkers with specific traits in terms of language, location, and knowledge can be used for customer projects. clickworker, one of the leading providers of crowdsourcing solutions with headquartered in Essen (NRW, Germany), is opening a second office in Berlin. clickworker, one of the leading providers of crowdsourcing solutions, is partnering with Streetspotr, the European pioneer in the field of mobile crowdsourcing. The two companies are combining their offerings for an integrated solution of mobile image capture and analytics, for its clients in the retail- and travel industry. The main focus of the cooperation is to combine stationary and mobile crowdsourcing and provide new synergies. Most important, the collaboration will provide benefits for customers of both companies: they can take advantage of the worldwide crowd and the broader solution spectrum from a single source. Collection of local image data by Streetspotr with the subsequent data analysis, tagging or content creation by clickworker will be offer new approaches for brand management in the retail industry or providing content for the travel industry. Both companies have many years of expertise in their field. The new partnership will provide better visibility in these markets and create even more benefits for customers and partners of the partnering companies. Within the context of the GERMAN WEB VIDEO AWARD 2014, the crowdsourcing expert, clickworker, will check all the clips submitted for the award and verify whether they fulfill the selection criteria. This assignment is linked to a large-scale charity project: The organizer of the award, the European Web Video Academy, is donating 15 cents to the Children’s Hospice Regenbogenland for every video that clickworker views. clickworker GmbH, based in Essen, has supported the GERMAN WEB VIDEO AWARD for the second year in succession and checks all the videos and clips submitted with regard to the fulfillment of the participation criteria. clickworker has set up this time-consuming task as an online project free of charge. Based on the principles of crowdsourcing, the videos are available for download on the online platform at www.clickworker.com for thousands of committed network members, the so-called “Clickworkers”, who process them on a voluntary basis. With regard to the charitable aspect: Every video counts! Because the European Web Video Academy, the organizer of the GERMAN WEB VIDEO AWARD 2014, is donating 15 cents to the Children’s Hospice Regenbogenland in Düsseldorf for every web clip that has been viewed. This year, the GERMAN WEB VIDEO AWARD has acknowledged innovative and outstanding works in the field of Internet moving images for the fourth time. It addresses both amateurs as well as professional video artists. The kickoff for the submission of web clips started on February 3. The organizer is anticipating several thousand submissions on www.webvideopreis.de. The Clickworkers’ task is to check whether the videos fulfill all the conditions for participation in the contest. The content must for instance be produced between January 1, 2013 and December 31, 2013 in Germany, Austria or Switzerland, and must be released on the Internet and must not violate valid law or youth protection legislation. The project will be completed by the clickworker GmbH with the draw of exclusive admission tickets. As a result some Clickworkers will have the opportunity to attend the by-invitation-only award ceremony, moderated by Joko Winterscheidt and Klaas Heufer-Umlauf on May 24, 2014 at the Capitol Theater in Düsseldorf, together with 1000 guests. The winners of the GERMAN WEB VIDEO AWARD in different categories will be selected by the Academy, which consists, by respectively 50 %, of winners and nominees of the previous year, as well as fans. Voting takes place by sharing the videos on Facebook, Google+ and Twitter, or by activating the voting button at www.webvideopreis.de.